It's not only dogs who can be cruelly confined in intensive breeding facilities. Investigations have uncovered shocking treatment of cats in 'kitten factories' across the country. Read on to learn how you can help free them from cruelty. In January 2015, two stripey little cats with startling green eyes were rescued from a squalid enclosure at a puppy factory. Their only protection from the glaring sun was a blanket, thrown haphazardly across the cage. They had no access to water — although a hose was lying in the dirt, temptingly, just beyond reach. Mia and Paradise, as these girls were named by their rescuers from Animal Welfare League Queensland, are two of the lucky ones. Tragically, the unlucky farmed cats of Australia outnumber them many times over. Kitten factories can be extremely difficult to identify. 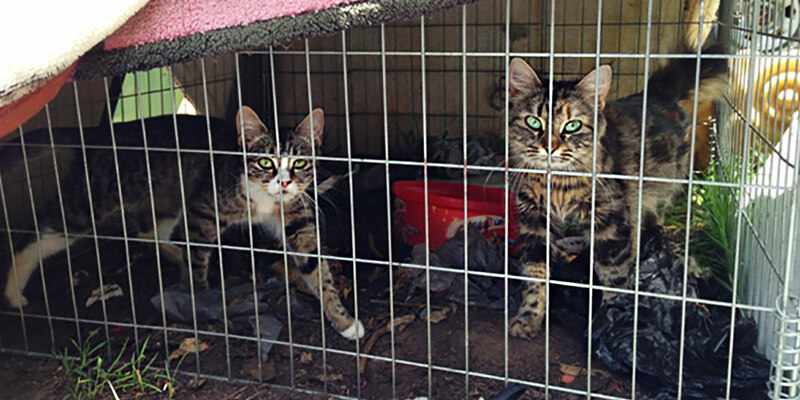 A lack of transparency, regulatory oversight, and the actions of unscrupulous breeders all combine to create what can be, at best, a life of deprivation and chronic boredom for cats and their kittens or, at worst, a living nightmare. Like Mia and Paradise above, a few breeding cats may be kept as an alternate source of 'revenue' in addition to a puppy-factory farmer's main 'product'. 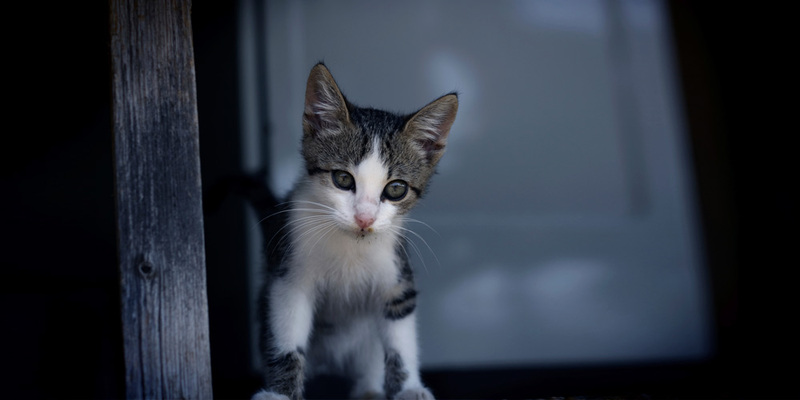 Other cat 'producers' may be hoarders, or backyard breeders, but the welfare risks in all instances are essentially the same: malnourishment, cramped and filthy housing, injuries and illnesses left untreated, and a critical lack of positive socialisation with humans and other animals. Ultimately, very little is currently known about kitten factory operations in Australia. We know they exist, and that cats are at extreme risk — but where they are, and how many there are, is difficult to determine. The good news is, by being vigilant, asking the right questions or adopting their next best friend, cat lovers can ensure they aren't supporting cruel kitten factories. Victorian Government regulations insist that an animal's microchip number be supplied in every advertisement of sale — it is very clearly missing in this ad. Breeders who care about the health and welfare of their animals will not offer to ship them interstate to you, sight unseen. Responsible breeders will insist on meeting the potential new owner to ensure that they are a good fit for the breed, temperament and personality of the individual animal. A companion animal is for life — and a responsible breeder will want to know that their cat is going to a caring home. Similarly, when bringing a new kitten or cat into the family, it's essential that you see where they've come from. 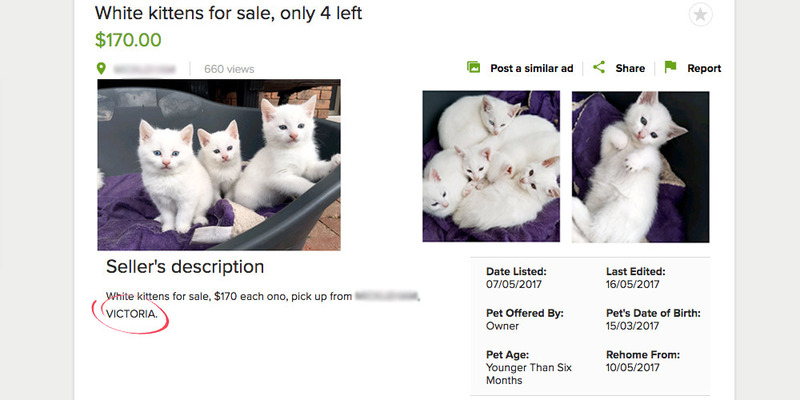 Any seller who won't let you visit to see the conditions the cat parents are kept in just might have something to hide. Take home tip: Remember that 'registered' is no guarantee of good animal welfare. 'Registered' simply means registered with a local council or breed association. As the story below so tragically reveals, being registered is not an assurance of high standards, or that facilities are routinely inspected to ensure appropriate conditions for animals. When a veteran cat breeder passed away in 2012, a shocking discovery was made in the backyard of her country Victorian property: some 30 cats and kittens, living in an absolute nightmare. "I near cried. I can honestly tell you it shocked me to pieces. They were bloody disgusting." — Breeder's friend describing the cages. Locked in tiny cages, and unaccustomed to human contact, the cats and their kittens were caked in filth. They were kept outside, without protective cover, in a region that regularly sees temperatures drop below zero in winter. 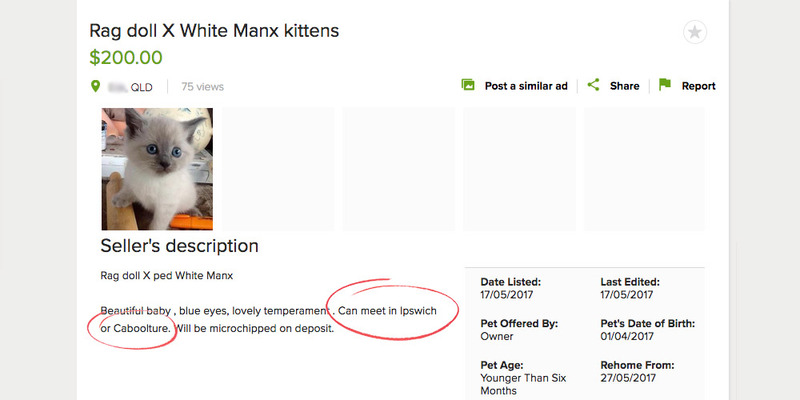 Despite breaching Victorian breeding regulations, and being registered with the Feline Control Council of Victoria, it was clear this registered breeder's property had not been inspected for some time, if ever — this lack of oversight exposed dozens of cats to a life of deprivation and cruelty. Equally shocking was the revelation that the breeder of these abused and neglected cats had won several Best in Show awards during her 'career' in Australia, New Zealand and Europe. With laws failing to protect animals, it's up to all of us to help end the cycle of suffering. You can ensure you're not supporting kitten farm cruelty by adopting — or by personally inspecting the breeding premises so you can see for yourself the conditions your new feline friend, and their parents, live in. Cats can become pregnant as early as four months of age. They generally breed seasonally, which results in a "kitten tsunami" in the warmer months between November and April. Unrestricted breeding and lax desexing laws result in far more animals being born than there are caring homes for them to go to. Every year some 50,000 cats enter RSPCA shelters nationwide. While euthanasia rates have been decreasing, there are still thousands of cats who never leave — thousands of loving animals who are killed simply because there are not enough homes to go around. This tragedy is echoed in pounds and shelters all across the country (with the exception of a handful of shelters with a 'no kill' policy) yet unscrupulous kitten farmers and backyard breeders continue to oversupply the market with 'fresh' animals. Laws and regulations are doing little to curb companion animal overpopulation — and nothing to prevent systemic animal cruelty. The easiest way you can make sure your dollars aren't going to support kitten factory cruelty is by pledging to adopt your next companion cat or kitten from a rescue group or shelter. Listen to your instincts. If a breeder, 'registered' or otherwise, is willing to post a kitten to you, or ship them interstate, it's likely they've got something to hide. Make a connection. If adoption isn't an option and you really want to find your next kitten through a breeder, insist on meeting the parents to make sure that your kitten has grown up in a caring home environment. Check out the RSPCA's Smart Kitten and Cat Buyer's Guide for some handy tips on what to look for. Shine a light on cruelty! 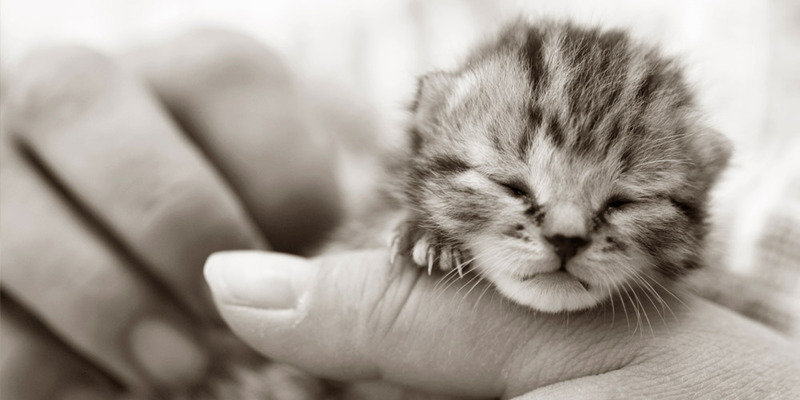 Laws have left cats and kittens without much protection. It's up to compassionate Australians to create a kinder future for them. Share this information with your family and friends, and do your bit to help end kitten factory cruelty! These people went to shop for a dog — and ended up adopting instead. What will the world look like without puppy factories?